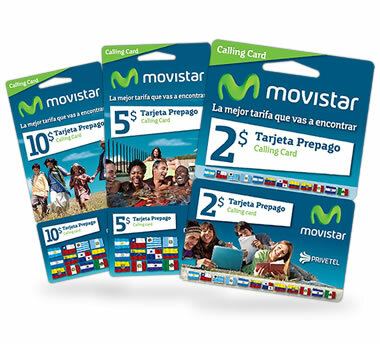 Privetel offers the best deals on prepaid calling cards for domestic and international calls from USA and other countries using the best and clean carriers in the world such Telefonica-Movistar. Our company is the leading retailer of international calling cards because we work hard to satisfy the phone card needs of each and every consumer. We carry a wide selection of the best and clean prepaid calling cards available and believe that all customers, whether they're looking to call internationally with cheap phone cards or hoping to save on domestic calls within the United States, deserve to experience quality calling card service. We believe our service is the future - it's easy, it's effective, its clean and above all, it offers serious savings for everyone. We have Customer Service Representatives available 24/7 for prepaid phone card assistance and offer a 100% satisfaction guarantee on all of our international phone cards and domestic calling cards.